Brief：While Chinese airlines have tended to purchase locally produced products, McInnes said Acro has put together "a dream team of an established seat brand with a production facility that will be established in China, with proven designs and a proven product strategy". The Chinese company behind the acquisition of a British aircraft seat manufacturer plans to keep the business in the United Kingdom. Zhejiang Science and Technology Investment Co bought Acro Aircraft Seating in a deal worth 55 million pounds ($73 million). Acro, founded in 2007, supplies Airbus and has provided more than 85,000 seats to airlines across Europe and the United States. The deal "will accelerate Acro's access to the Chinese market", the company said. Based in Crawley, West Sussex, Acro has a current turnover of around 30 million pounds ($40.3 million), while sales have risen by 20 percent over the last two years. Zhejiang Science and Technology Investment Co, is the parent company of Chinese automotive seat maker Zhejiang Tiancheng Controls. Chris Brady, Acro's chief executive, said the sale－which is subject to regulatory approval－is "a significant opportunity and vote of confidence in us and our mission''. 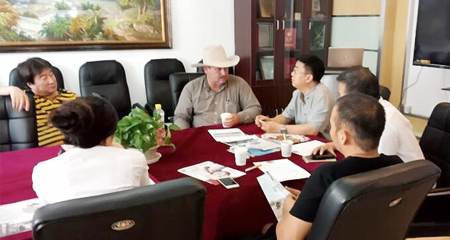 The company had not been actively seeking a buyer, Brady said, adding that the deal opens up huge potential to reach the Chinese market, which is of major strategic advantage. Acro sees the potential for major growth in China, where both Boeing and Airbus have established final assembly lines, said Alan McInnes, the company's senior vice-president for sales. "It is a significant growth area for predominantly single aisle aircraft, albeit Airbus has a twin-aisle final assembly line in Tianjin," McInnes told aviation website RGN. McInnes emphasized that the seatmaker's headquarter will remain near London Gatwick. "It has a number of advantages, including proximity to the Airbus final assembly line in Europe, and we also have a very strong engineering and R&D function there," he said. While Chinese airlines have tended to purchase locally produced products, McInnes said Acro has put together "a dream team of an established seat brand with a production facility that will be established in China, with proven designs and a proven product strategy". "That's what will give us access to the Chinese market," he said.